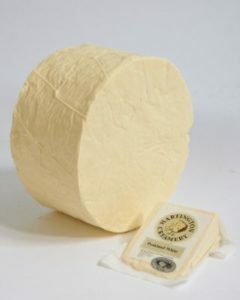 Peakland White is a crumbly, salty cheese made by our friends in Hartington. They describe it as having similarities to Cheshire, White Stilton, and Feta, and it lends itself to being flavoured with cranberries or smoked tomatoes. It is matured for only two weeks, and thus tastes young, fresh and clean. Suitable for vegetarians, and made with pasteurised local Derbyshire milk.